Course Description: This course develops students' understanding of the basic concepts of physics. 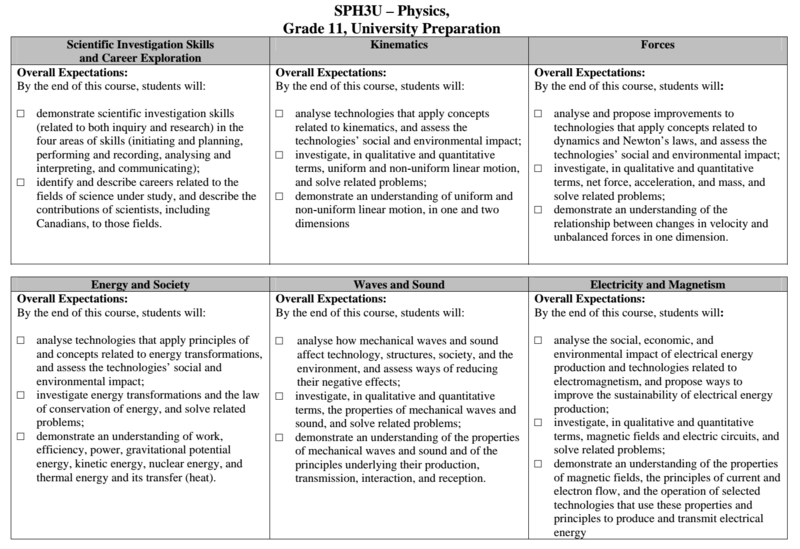 Students will explore kinematics, with an emphasis on linear motion; different kinds of forces; energy transformations; the properties of mechanical waves and sound; and electricity and magnetism. They will enhance their scientific investigation skills as they test laws of physics. In addition, they will analyse the interrelationships between physics and technology, and consider the impact of technological applications of physics on society and the environment.